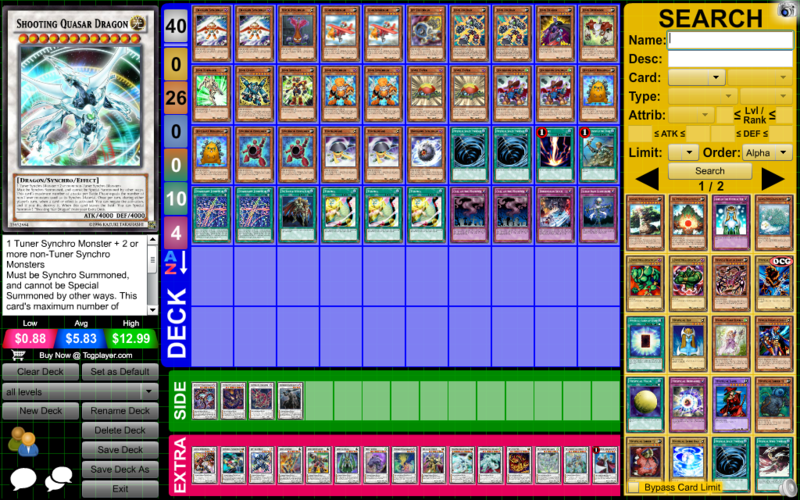 Congratulations to RiverShock, who won the 11/12 Weekly Deck Building Contest with his Starter Deck: Approaching Darkness! I can't honestly say much about the deck, being a mostly unthemed starter deck, but it does provide decent essential outs to S/T in the form of Deep Sweeper and Dust Tornado, as well as outs to monster threats in Tribute to the Doomed, Chaos Burst, and Radiant Mirror Force. It also has various equips and battle tricks to support your minions through battle. For winning this contest, RiverShock, you receive your choice of 3 x Pre-Synchro Era or 1 x Pre-Xyz Era packs. Jesse, 6SAMS, Warrain, TLM-JDS, and Exarion, you each also receive 1 x Pre-Synchro Era pack as thanks for participating! The winner receives their choice of either 3 x Pre-Synchro Era packs or 1 x Pre-Xyz Era pack. Each other participant will receive 1 x Pre-Synchro Era pack as thanks for participating. This week's theme was to build a 40-card Starter Deck. Not the best competitive deck but i really don't think these competitions should be about "here's the bare bones of what you want plus everything meta ever"
All monsters in the game have either a rank or a level (though I believe there might be one or two Xyzs that don't? Whatever). In the anime, we had this cool but impractical ability on Arcana Knight Joker that had you discard cards of every level between, what was it, 1 and 7? to destroy all cards, but that didn't really happen in the actual card game. A shame, but also a decent thing (greater shame the real Arcana Knight Joker isn't work using, either). 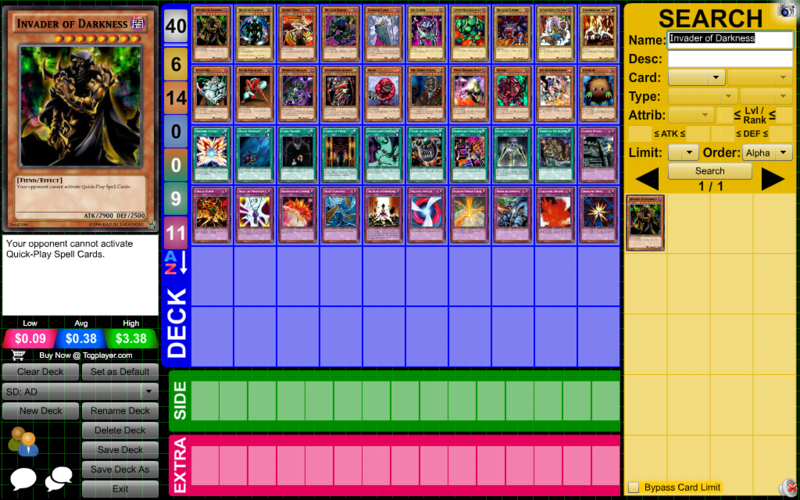 For this week's contest, make a deck with monsters of every level/rank between 1 and 12. Only a monster with that level or rank is required for each number, not both. Does Ultimaya Tzolkin count as Level 12? Yes, it counts as 12. Edited by Stomach The MachoPony, 01 December 2015 - 01:51 PM. Edited by RiverShock, 01 December 2015 - 01:30 PM. Edited by Exarion, 04 December 2015 - 07:50 AM.